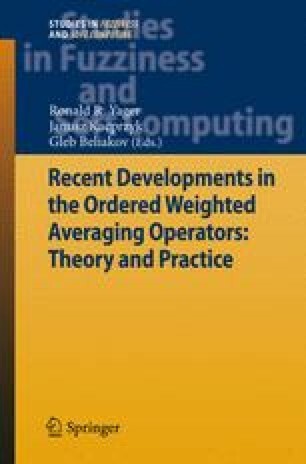 In this paper, we provide a novel solution for ontology matching by using the ordered weighted average (OWA) operator to aggregate multiple values obtained from different similarity measures. We have implemented the solution in the ontology matching system FOAM. Using the similarity measures in FOAM, we analyze the way to choose different OWA operators and compare our system with others.